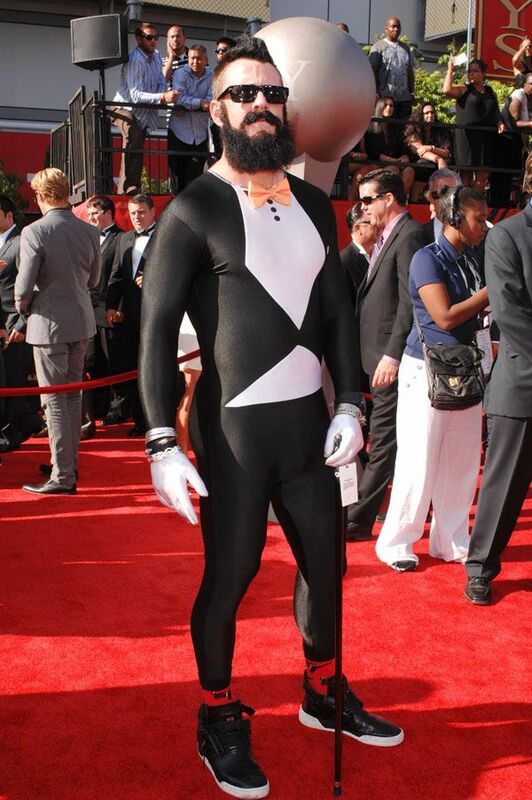 The highlight of the ESPY’s was Brian Wilson’s spandex tuxedo. I can’t describe it any better than Seth Meyers did. He looks like a Batman villain. The trailer for The Dark Knight Rises was leaked online and Wilson was nowhere to be found but I’m still holding out hope that he’s in it. He could be called The Closer and throw exploding baseballs. Either that, or he’s trying out for a really high-class bobsled team. Really shouldn’t all bobsled uniforms have bow ties? Cool Runnings probably would have won an Oscar. Wilson’s only mistake was not inviting The Machine as his +1. Those two would have made a cute couple on the red carpet.